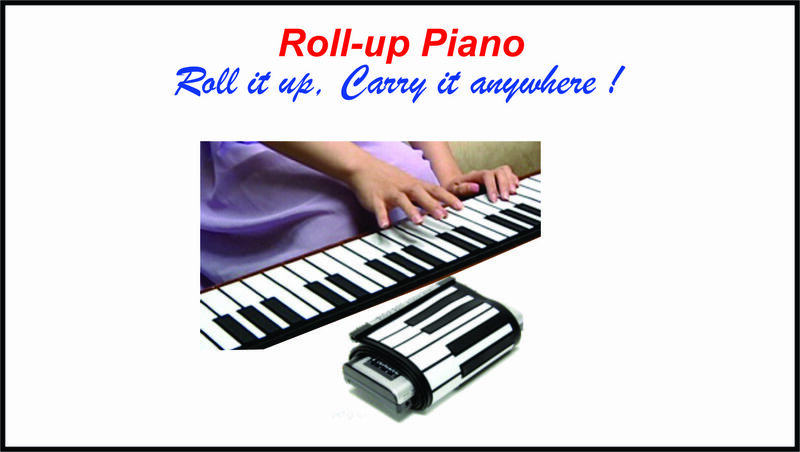 It’s a musical instrument, a piano which can be rolled up, so even a child can carry it anywhere to play! It can also connect it to another amplifier to increase the sound. It is an electronic instrument, so it has many functions and features.